Our product range includes a wide range of fire hydrant system and fire monitor. 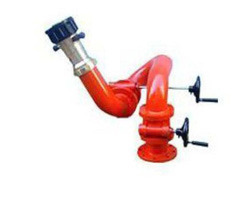 We are leading manufacturer supplier and installer of Fire Hydrant System. Our organization holds expertise in offering quality approved FireMonitor. These monitors are offered with special swivel joints and gear shaft, which ensure simple movement vertically and horizontally under acute pressure. Tested on various parameters, these monitors are known for their adherence with international standards and norms.